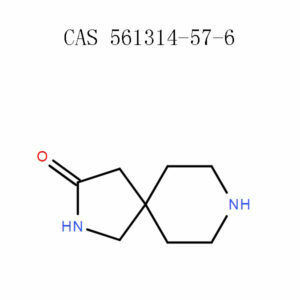 It was studied the design and synthesis of novel azaspirocycle or azetidine substituted 4-anilinoquinazoline derivatives. 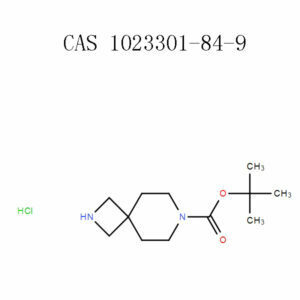 The EGFR inhibitory activities and in vitro antitumor potency of these newly synthesized compounds against two lung cancer cell lines HCC827 and A549 were evaluated. Find out that most of the target compounds possess good inhibitory potency. In particular, compounds 21g with 2-oxa-6-azaspiro[3.4]octane substituent was found to possess higher EGFR inhibitory activities and similar antitumor potency comparing to the lead compound gefitinib with improved water solubility. In addition, piperazine and morpholine are common modules in drugs. Design and synthesis of their surrogates may help to explore the chemical in medicinal chemistry. Through [3+2] cycloaddition, the improved synthesis of 6-benzyl-2,6-diazaspiro[3.4]octane oxalate and 2-oxa-6-azaspiro[3.4]octane as substitutes of piperazine and morpholine was provided, respectively. Multi-gram quantities of the compounds could be easily obtained in relatively high yields. This product(s) resides on a APICMO contract. If you are viewing this page as a non-registered user, the price(s) displayed is List Price. To view your pricing, log in using your account number, or become a registered user by contacting one of our Customer Service teams. To place an order, contact APICMO Customer Service. w Wash … thoroughly after handling. w Use only outdoors or in a well-ventilated area. w Wear protective gloves/protective clothing/eye protection/face protection. w IF ON SKIN:Wash with plenty of water. w IF INHALED: Remove person to fresh air and keep comfortable for breathing. w IF IN EYES: Rinse cautiously with water for several minutes. Remove contact lenses if present and easy to do – continue rinsing. w Call a POISON CENTER or doctor/… if you feel unwell. w Specific treatment (see … on this label). w IF SKIN irritation occurs:Get medical advice/attention. w If eye irritation persists:Get medical advice/attention. w Take off contaminated clothing. w Store in a well-ventilated place. Keep container tightly closed. Chinese Journal of Organic Chemistry 2015. Bioorganic and Medicinal Chemistry Letters 2013. We do lab scale to large-scale manufacture and synthesis of 2-Oxa-6-azaspiro[3.4]octane among other chemicals. At APICMO, our products conform to the CMGP manufacturing regulations. 2-Oxa-6-azaspiro[3.4]octane(1408075-00-2) Chemical and Physical Properties. It is a liquid with a colorless to pale yellow color. 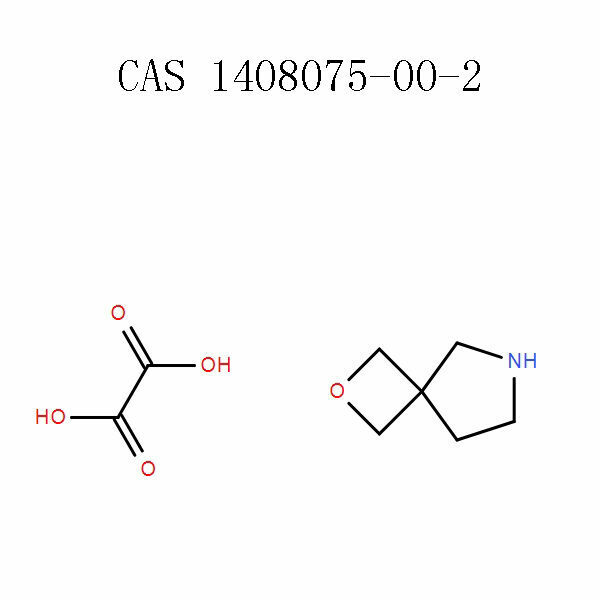 2-Oxa-6-azaspiro[3.4]octane is stable under recommended storage conditions. Decomposition will not occur if it is used and stored according to specifications. Decomposition products include Carbon monoxide, carbon dioxide, and Nitrogen Oxides. 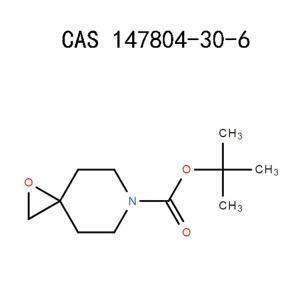 It is involved in the preparation of aza-spirocycle or azetidine substituted 4-anilinoquinazoline derivatives, which exhibits epidermal growth factor receptor (EGFR) inhibitory activities. Also used for scientific development and research. It may cause skin irritation when in direct contact with the skin. It may cause respiratory irritation if inhaled. It irritates the upper respiratory tract. It causes severe eye irritation. May be harmful by ingestion. It is a combustible liquid. 2. 2-Oxa-6-azaspiro[3.4] octane engineering control. if general ventilation is not sufficient to control the amount of air supply in the room, you can use local exhaust ventilation. Use non-sparking ventilation systems, approved explosion-proof electrical systems. Have eyewash and safety shower in case of contact or splash. In case of any contact with the skin, carefully wash with a lot of running water and a gentle soap. You may use cold water. Cover the affected area with an emollient. Seek medical attention. Wash any contaminated clothing before reuse. In case it splashes in your eyes, quickly get rid of contact lens if wearing any. With the eyes wide open, rinse the eyes with cold, clean water for at least 15 minutes. You can use cold water. If the burning and redness persist, seek the attention of a physician. You should not induce vomiting. Give water to the victim to drink. Contact a physician. Exposure to 2-Oxa-6-azaspiro[3.4]octane may irritate the upper respiratory tract whose symptoms are coughing, sneezing and nasal irritation. Get the victim outside or to somewhere with fresh air. If the victim’s breathing is difficult, administer oxygen. Seek medical attention. Avoid breathing the fume/ vapor/mist. After contact with skin, wash immediately. Ensure sufficient ventilation during use. Wear protective clothing and chemical resistant boots. Do not inhale dust or vapor. Use only in a chemical fume hood. Eating, drinking or smoking is prohibited while using this product. Have a safety shower and eye wash available. Dispose of contents or containers by the regulations. Store in the original shipping container or a well-marked container. Keep in a well-ventilated place. Store in a dry area that has sufficient ventilation, temperature controlled, out of direct sunlight. Follow all applicable health and safety regulations. Keep away from unauthorized personnel. Do not store it near heat or sources of fire. Store it locked up in a container. Keep away from incompatible chemicals, combustible and flammable materials heat, sparks, open flames, hot surfaces or oxidizing agents. Store in a place that has no direct sunlight. Avoid any heat and ignition sources such as sparks, hot surfaces, and static discharge. Work in an open or well-ventilated room. Wear protective clothing to minimize inhaling the fumes, or getting the chemical in contact with skin or eyes. Use ventilation systems that do not spark, approved explosion-proof equipment and intrinsically safe electrical systems. Prevent the formation of aerosols. Work in a fume chamber. Wear a fully protective impervious suit. Avoid coming into contact with any leaked material. You can stop any further leak if it does not harm you. Contain the spill with the liquid binding material (sand, diatomite, sawdust). Deposit the absorbent used in a container that is well labeled ready for disposal. Flush spill area. For large spills that you may not be able to contain you could either contact the supplier or emergency services. 2-Oxa-6-azaspiro[3.4]octane reacts with strong oxidizing agents, strong acids, reducing agents and bases. It decomposes under high temperatures producing Carbon monoxide, Carbon dioxide, and Nitrogen Oxides. You should treat 2-Oxa-6-azaspiro[3.4]octane as special waste under adherence to official regulations. It must, therefore, be managed, handled and disposed of carefully in a manner that complies with the area, federal or state regulations. 2-Oxa-6-azaspiro[3.4] octane is safe for either ground or air transportation. 2-Oxa-6-azaspiro[3.4]octane conforms to all local, federal and state laws. 2-Oxa-6-azaspiro[3.4]octane ( 1408075-00-2) Bulk ordering and pricing. Are you interested in a small amount or bulk buying? Get in touch with us. At APICMO, we assure you of satisfactory quality and competitive price. Reactions and syntheses: -In the Organic Chemistry Laboratory, Lutz F. Tietze, TheophilEicher, Ulf Diederichsen, Nina Schutzenmeister, Andreas Speicher, Page 258-270.